This Secret Mantra is known as Hayagriva Lakshmi Stotram or Hrudaya Lakshmi Stotram given by Brahmanda Guruji Shri Narendra Babu Sharmaji in his Bruhat Brahmanda programmes telecasted in Zee Kannada Channel. This mantras were used by Ravana and by Lord Venkateshwara (Vakula Devi recited this mantra to Lord Venkateshwara) to get Lakshmi. According to Guruji Lakshmi is not money, it is aim. These Slokas should be chanted 9 times a day. While chating have 9 flowers and Mantra Akshata. After chanting each mantra, offer akshata (rice) with flowers to God. But offer/put flowers on god and put akshata in seperate plate, so that you can take it and collect it in a small container. You can use this akshata for cooking and you can shower (2 rice is sufficient) on your head when you leave home every day. One can follow this for any type of Karya siddhi. It is also called as Siddhi Mantra. One can follow it for 9 weeks or 9 months or till you get success. Click on Play Icon to watch the video. namaste guruji. 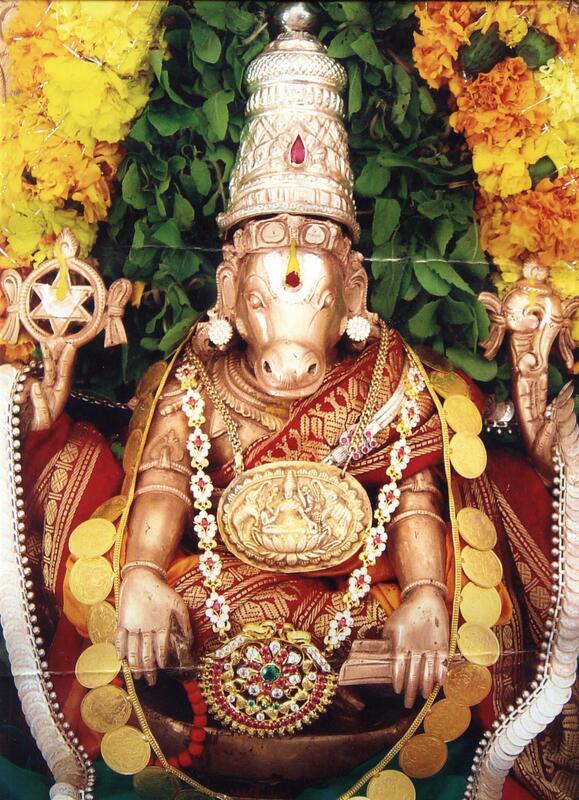 Pls guruji, tel me a procedure to do chora ganapathi vratha as missed out that episode. I am facing lot of problem, I was disgusted. ANADHO DAIVA RAKSKA You are my pratyksha devuru .All of a sudden i switched on T.V. Exactly this mantra was reciting by you. I prayed as per instructions with lot of devotion. Believe it or Not .I got mental relief as a miraculous medicine. Guruji I & My family members are grateful to you. "SATHA KOTI PRANAMAMULU"
Hi. The video is not working. Please re-upload. Sorry guys, i dont have the video.